This post is sponsored by Newell Brands, makers of Ball® Jar Fresh Preserving Products; however, all thoughts and opinions are my own. Let’s talk about Christmas crafting. And by crafting I mean both making your own Christmas decorations and Christmas gifts. 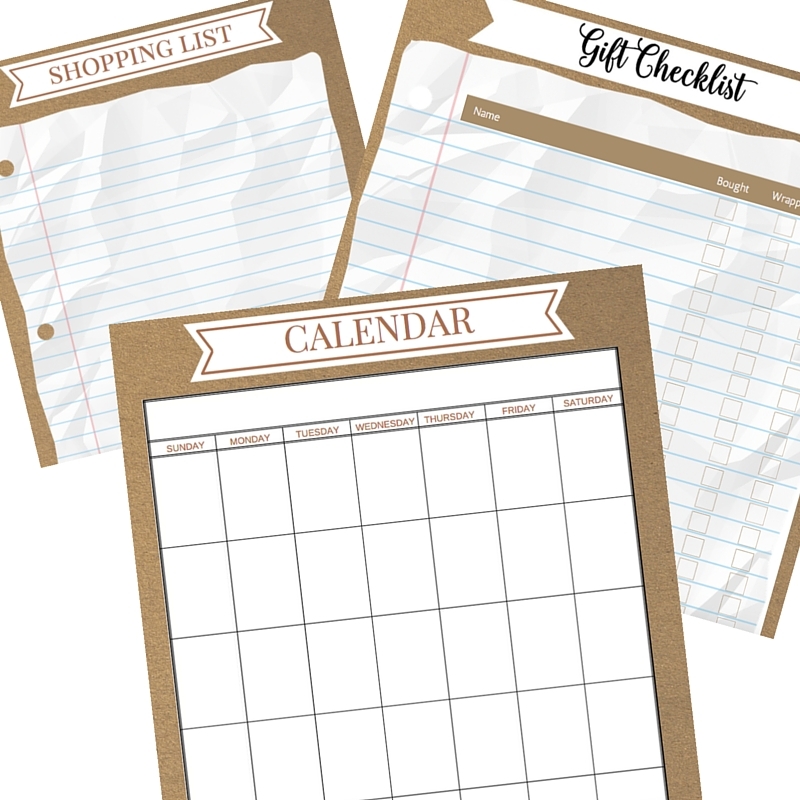 A Handmade Christmas takes time and planning, right? I for one plan on getting all of my crafting done early this year so I can focus on relaxing and enjoying the Christmas season with my family and friends. So let’s make a deal: let’s skip the crowded store aisles full of the same-old-same-old and let’s make some unique, one-of-a-kind Christmas decorations. 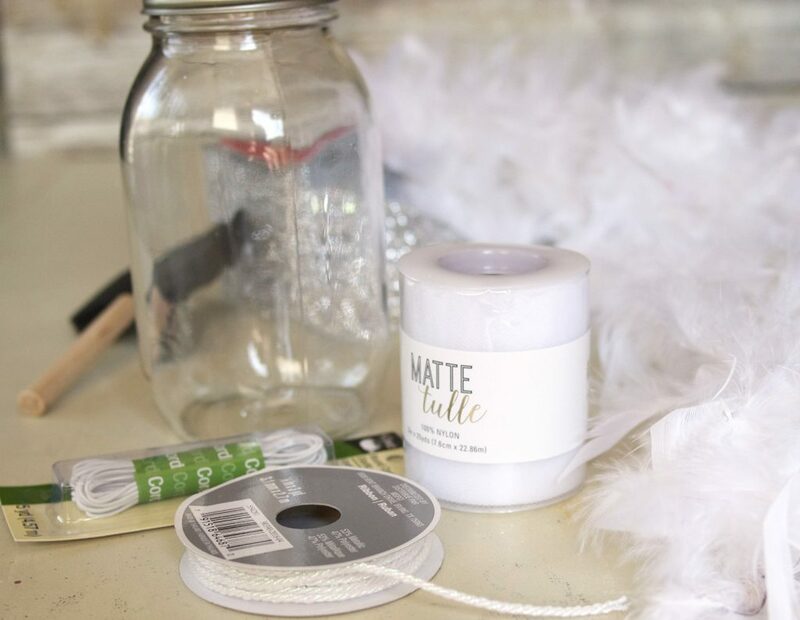 Let’s get crafty with Ball® Jars and make a Ball® Jar Christmas Angel. Here is the Ball® Jar Christmas Angel that I made using a quart size Ball® Jar that I picked up at Michael’s. I also used ribbon, feathers, glitter and a few other items. 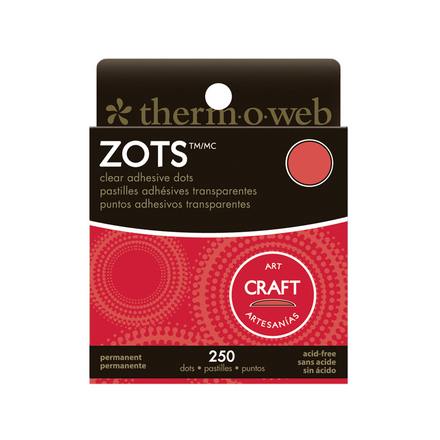 You probably already have most of these items in your craft stash that you can use. 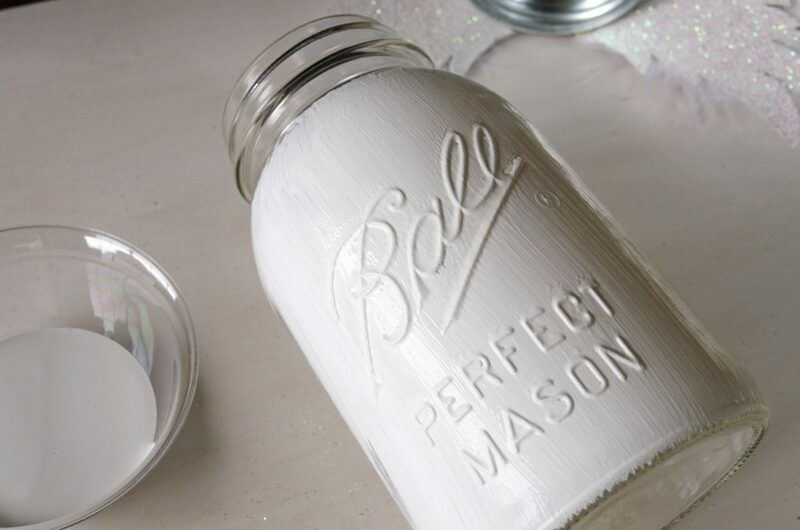 Paint theBall® Jar with white chalky style paint. Make the wings. I started out by making a bow out of some pretty, silver, glittery ribbon but I wasn’t thrilled with how it looked. I like the wings that I made out of chipboard so much better. I made them by cutting out wing shapes out of the heavy chipboard using my electronic die-cutting machine. 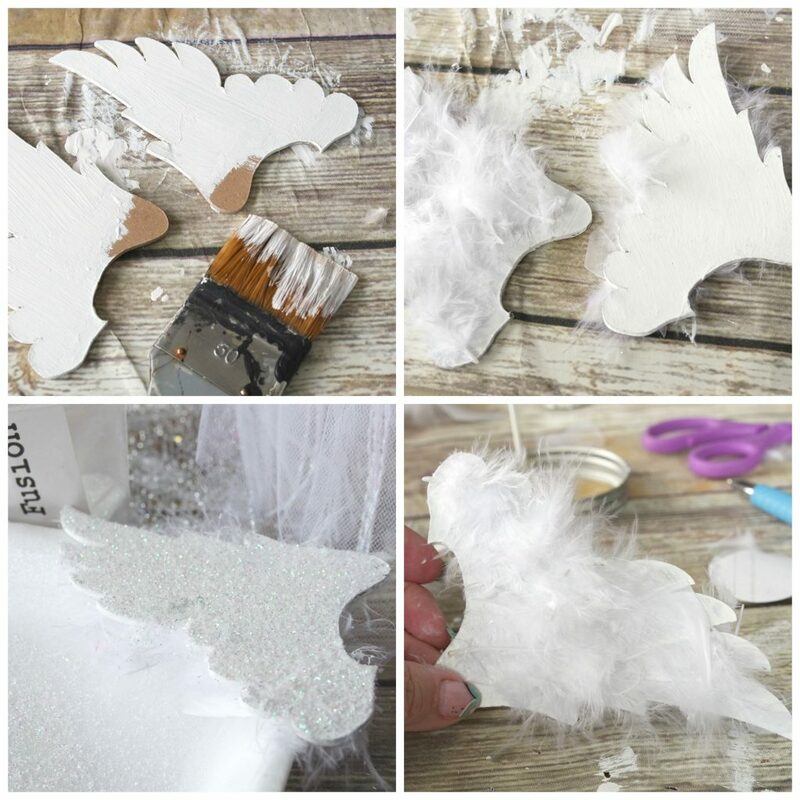 I painted them white, then added a coat of Mod Podge so that the feathers would stick to one side and glitter would stick to the other side. I then hot glued the wings onto the back of the lid. Make the Angel’s head. I bought a wooden knob at Michaels and painted it white. That’s it! I hot glued it to the lid and drew on simple closed eyes and a little round mouth. Easy peasy. I then thought about a halo. I even tried to make one with wire but it just didn’t look right. Then an idea struck and I rummaged through the Christmas decorations looking for those white berry sprigs – not exactly sure what they’re called. Do you know? Holly berries maybe??? Well whatever they are called, they are on a wire and were easy to shape into a halo for my Ball® Jar Christmas Angel. I especially like that this halo sits directly on her head camouflaging her bald head! What wonderful handmade creations will you make with Ball® Jars? One more thing to think about: Ball® Jars are perfect for gift giving! We’ve all seen the cookies ingredients layered in a Ball® Jar. 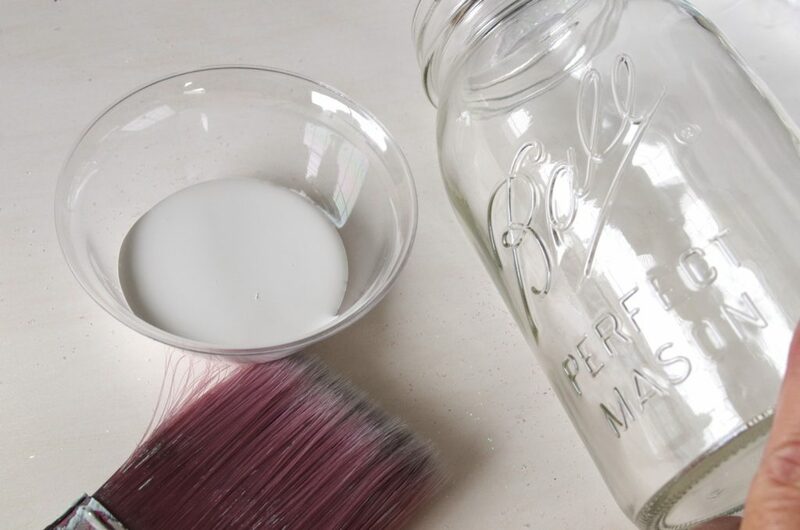 What other creative ways would you use Ball® Jars? This is beautiful! I am with you, I love a handmade Christmas and like to get it done early so I can enjoy the season. Oh Jeanie, I do love that angel. 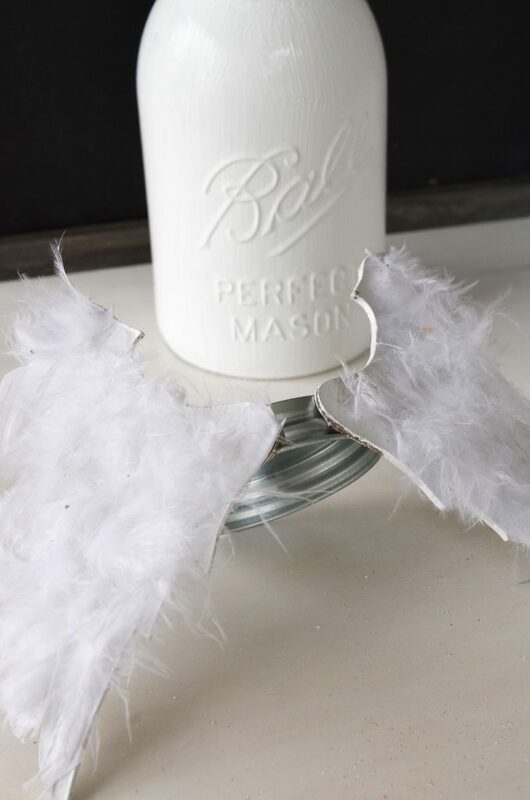 Her wings are just ‘heavenly!’ And you could easily fill that jar with any number of special Christmas treats. I love this pretty angel! So creative! So creative! Simple, yet the detail in the wings and the little crown really make it! The things that can be made with Ball jars never ceases to amaze me! 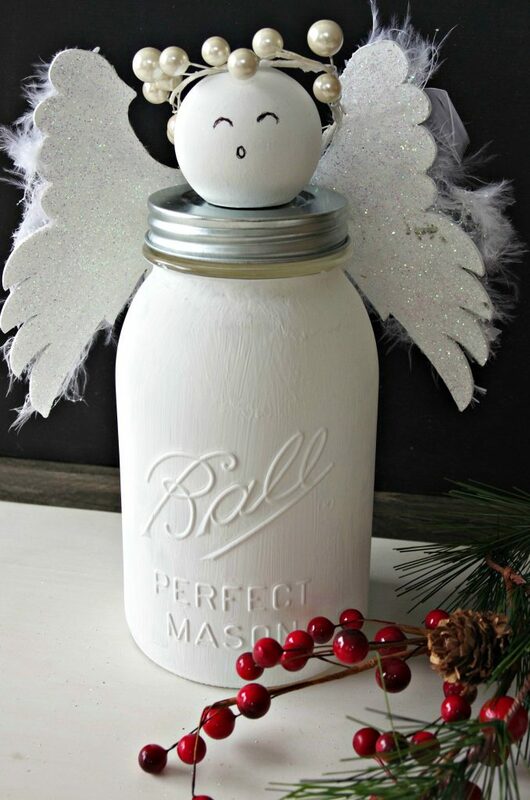 Love ball jars and angels! This is perfect, can’t wait to try and make some!! 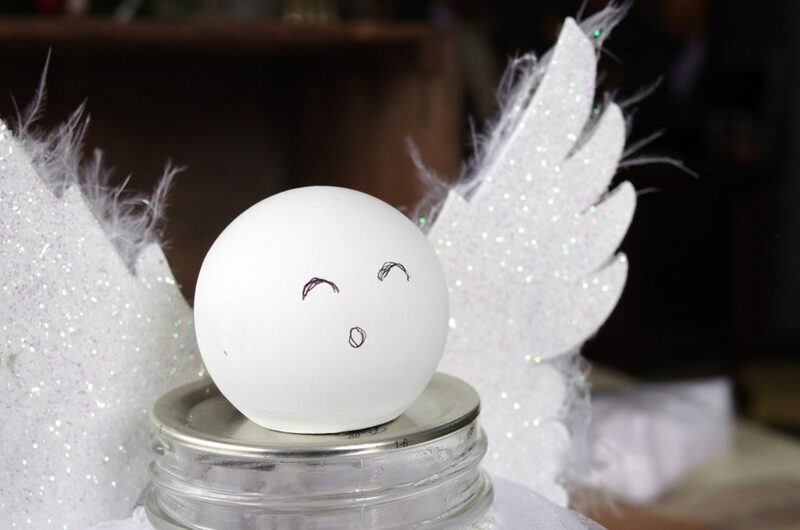 Your little angel turned out so cute! I absolutely love the feathery wings… they’re so pretty! I could see a whole little choir of cute mason jar angels. What a fun project! Love the angel. Reminds me of my parents angel on their tree. That’s really pretty! A collection of those in various sizes would make a great arrangement. Beautiful! I absolutely love the angel wings. I love that angel soooo much! I love angels and this is definitely going on my to do list. Pinning and tweeting! Happy Christmastime to you, Jeanie! 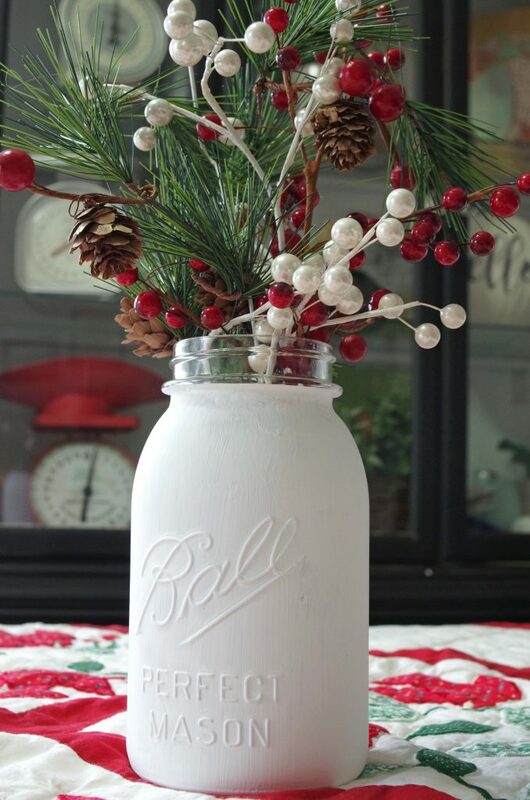 Such a clever way to use a mason jar! Thank you for sharing at Party In Your PJs! The angel is so precious. What a lovely gift or event to display in your own home. Thanks for sharing at the Snickerdoodle Create Bake Make Party. What a beautiful ornament! I love how creative you have been with the Ball Jars! 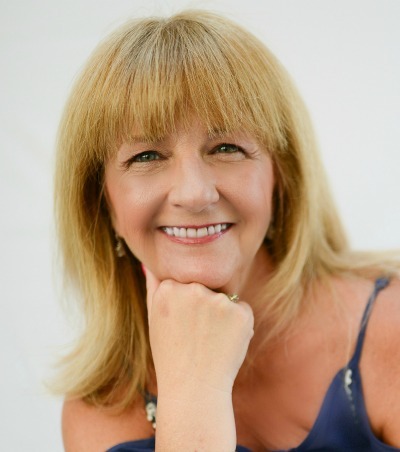 Thank you so much for sharing with the Hearth and Soul Link Party. I’m featuring this post at the party this week. Hope to ‘see’ you there! Have a great week ahead!